It’s been two years now since Christopher Nolan last stuck his hand into the ol’ Oscars bucket with Dunkirk, the latest of his bombastic, technically overwhelming encapsulations of human beings getting knocked around by forces—like, say, the budget on the average Christopher Nolan movie—that are infinitely larger than themselves. 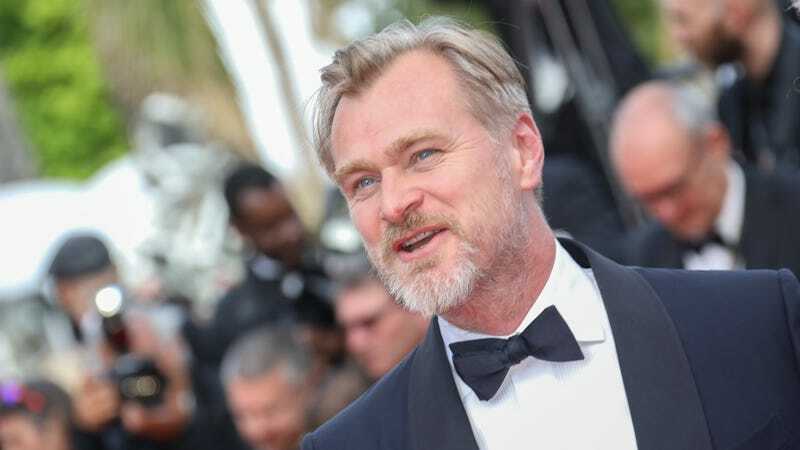 Given how prolific Nolan has been over the last two decades of Hollywood movie-making, money was good that he’d have something cooking up again soon, and, lo and behold, we now finally have some details about his next “event movie” project. Or, rather, “detail, singular,” because all he’s giving people to go on right now is a release date that’s surprisingly soon, given how little we know about it: July 17, 2020. And, uh…That’s it. Look, we’re doing our best here, but Nolan—who generally works on his own screenplays, usually with a partner—is apparently being extremely tight-lipped about this latest project, not even leaking a basic logline or hint about what he’s cooking up. (Dunkirk made more than half of a billion at the box office in 2017, so it’s not like he has to prove himself to the studios with any kind of easily smuggled-out sales pitch.) All we’re left with is base speculation culled from his past films, suggesting that this latest will probably be about very small people (possibly including Michael Caine) standing up to very large objects/universes/armed conflicts, looking de-saturated all to hell, jumping around in time, and turning out to be way more sentimental than their initial coldness might lead you to expect. But we’re just guessing here; maybe 2020 is the year Nolan goes full-on Tangerine, records this sucker on his iPhone, releases it via YouTube, and calls it a day. Right now, it’s a realm of endless possibilities.